Short video of the 2014 Five Boro Bike Tour making its way up 6th Avenue towards Central Park. 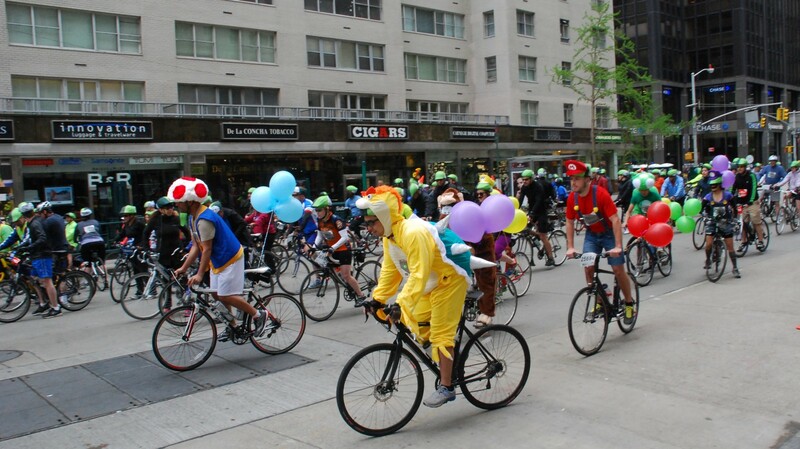 Also, looks like there was some Mario Kart racing during the 5 Boro Bike Tour. 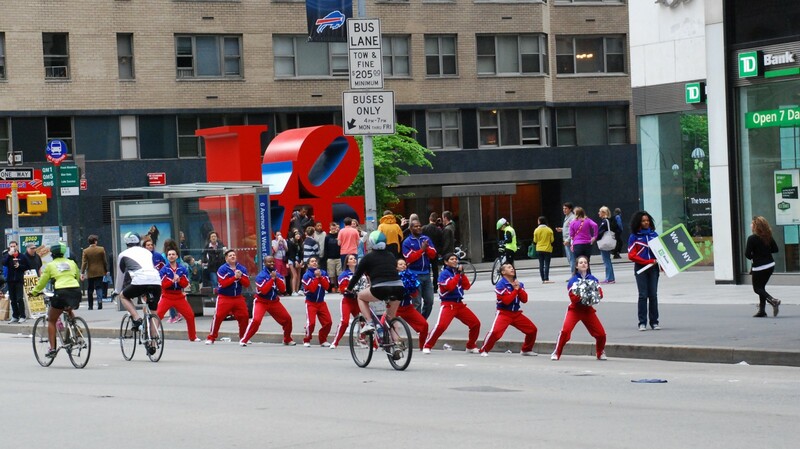 TD Bank sponsors the 5 Boro Bike Tour and also provided some cheerleaders.